Poised to be the first of its kind of equipment in the United States, the LF35-75 welder, currently under development and set for completion in spring of 2018, will be housed in LIFT’s Corktown manufacturing center. The machine will bring the same linear friction welding technology used in aerospace to achieve light-weighting in blisks and Integrally Bladed Rotors (IBR) in aircraft engines to the automotive industry. LIFT, one of the founding members of Manufacturing USA, part of the federal government’s National Network of Manufacturing Innovation program, is a public-private partnership designed to help develop and deploy advanced lightweight metal manufacturing technologies, and implement education and training programs to better prepare the workforce of today and tomorrow. Acquiring this machine is part of LIFT’s recent $50 million investment, along with IACMI – The Composites Institute, in their shared manufacturing facility in Detroit. 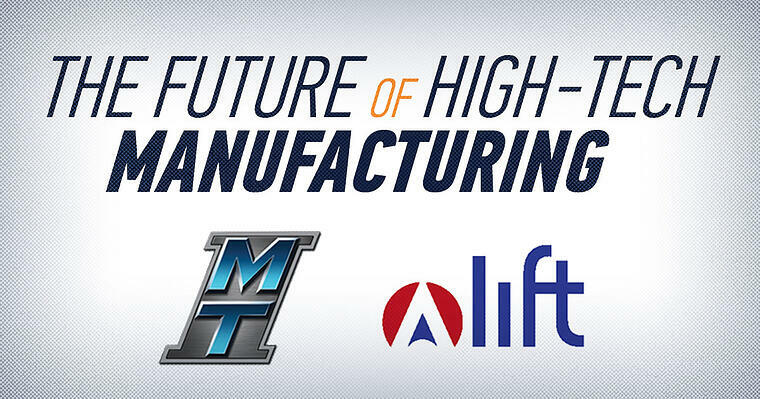 With MTI and LIFT sharing a joint vision for the future of U.S. manufacturing, manufacturers for the first time in history will be able to weld full size demonstrator parts in the United States. Linear Friction Welding, a young technology within the automotive market, is gaining momentum with the increased need for light-weighting and advanced alloy utilization combined with decreasing capital costs. Applications within the automotive market that are currently being investigated or developed using linear friction welding technology include structural members, such as chassis and doors, of metallic alloys. Additional applications consist of energy absorption members, such as crash cans, where generally a tubular structure is joined to a plate structure. Other applications may also include any other joint of two dissimilar, non-axisymmetric metallic components that need to be joined, with the components being of either like or dissimilar metals. The LF35-75 machine significantly eliminates wasted materials and post-machining by producing Near Net Shape parts utilizing Linear Friction Welding technology. This technology also gives LIFT members the ability to join preferentially lighter or stronger materials to specific locations on the subject part, taking advantage of friction welding’s ability to join challenging and dissimilar metals. This reduction in cost and increase in capability will allow LIFT members to implement highly engineered materials that offer superior performance at a reduced weight for better fuel efficiency and handling in any variety of vehicular applications. At 35 tons of oscillator process force and 75 tons of friction force, MTI has optimally balanced the proportion of axes capabilities for the LF35-75 in order to maximize its capability to produce Near Net Shape parts for the breadth of markets and vehicular segments represented by LIFT membership. Working with other industry experts, MTI leveraged the experience of EWI for the design of the LF35-75. Having delivered more linear friction welders than any other company in history, MTI has established itself as a leader in friction and resistance welding, including Rotary Friction, Linear Friction and Friction Stir Welding technologies. In addition, MTI has delivered machines to Boeing, GE, Rolls- Royce, Pratt and Whitney, Federal Mogul, and many of their tier one suppliers. A family owned business founded in 1926, MTI employs 225 people in their South Bend, United Kingdom, and China locations.